Calling all Harry Potter fans!!!!! 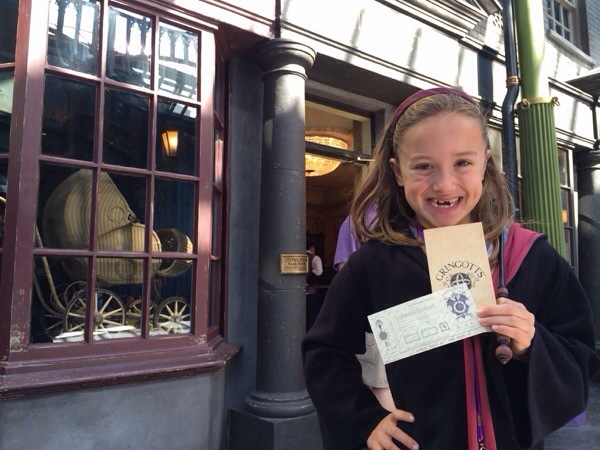 After an unexpected visit to Diagon Alley this Fall efor Kenzie to film a TV segment with Steve Harvey to give him a tour of all things Harry Potter, we were able to take a deep dive into Universal Orlando’s brand new expanded Wizarding World of Harry Potter at Diagon Alley. It is AMAZING! Absolutely incredible and full of even more outstanding details to thrill every Harry Potter fan. 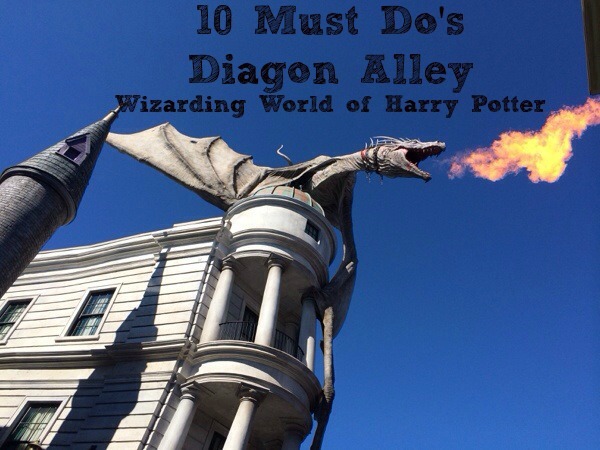 We created another Harry Potter “Must Do” list featuring the 10 Must Do Attractions and Activities at Diagon Alley Wizarding World of Harry Potter with tips and hints for visiting Diagon Alley, given how popular our original top 10 Must Do Attractions and Activities at the Wizarding World of Harry Potter was last year. 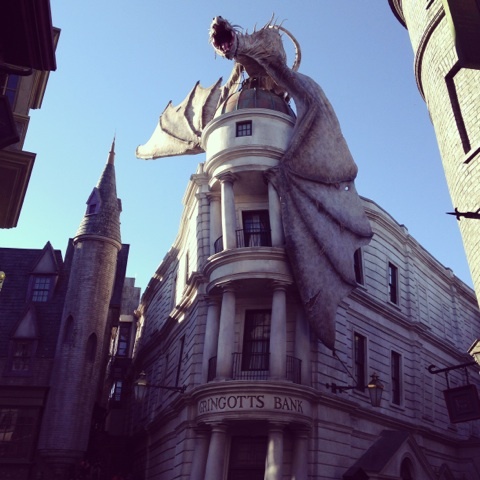 Check out our list of the Top 10 Must Do Attractions and Activities at Diagon Alley. 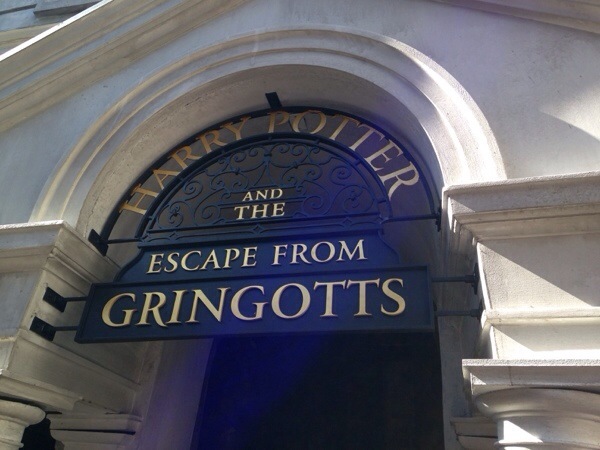 Trust me, there are more than 10 things you’ll absolutely LOVE about Diagon Alley and there is a bucketful of magic to explore in this new expanded Wizarding World, but we figured we’d hit the absolute MUST DO list with our highlights and favorites knowing that visitors are often crunched for time during busy vacations. How cool is this? 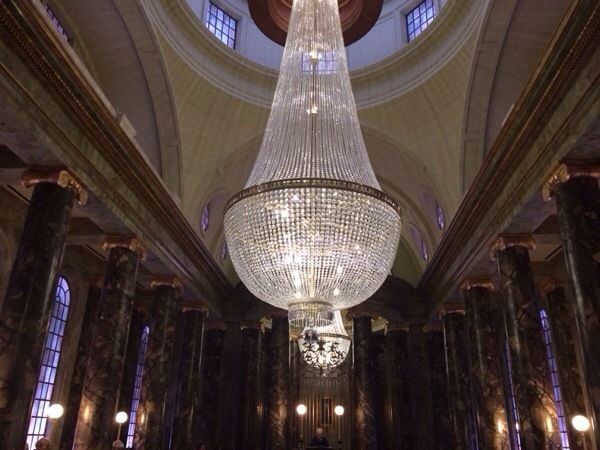 You can actually pop into the Gringotts Money exchange and trade in your dollars for Gringotts. My kids thought this was thrilling – and who am I kidding …. I loved it too!!! No worries about how much you exchange either as the currency can be used at various places around Universal Orlando Resort too. The goblin at the desk also interact with you while you’re in line – so you can ask him questions and get a response. Awesome! 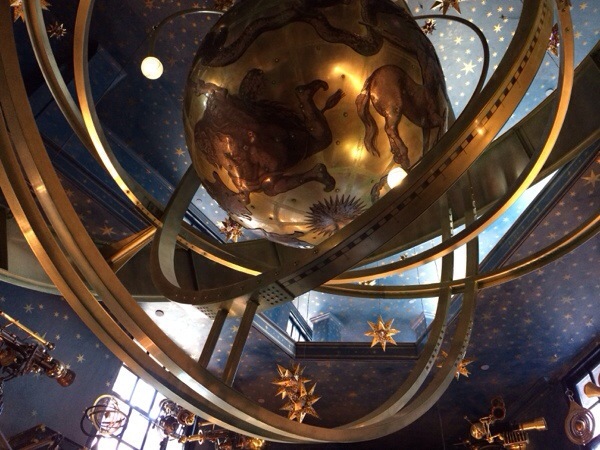 $10 and $20 notes are available at the exchange – so this is a fun 1st thing to do upon arrival so you can then spend your Gringotts while shopping for souvenirs, wands, lunch or Butterbeer! Wow. 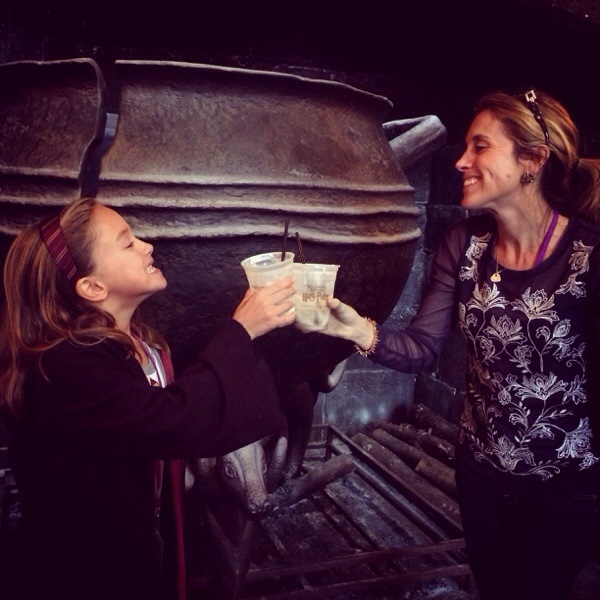 We thought we loved Frozen Butterbeer more than anything in the world. 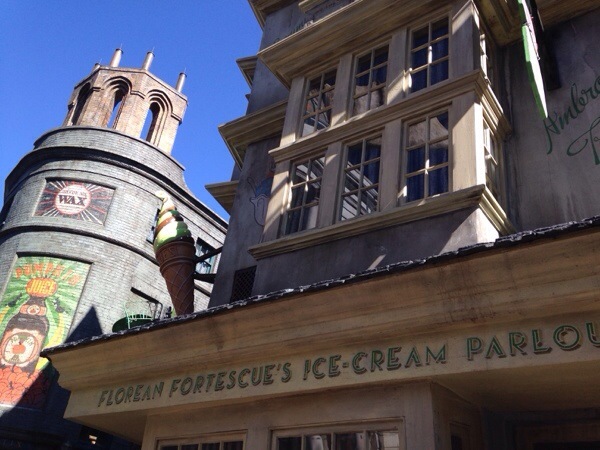 Then came Butterbeer ice cream. It is divine! Absolutely incredible and like nothing I’ve ever ate before. We ordered soft serve Butterbeer ice cream and all 4 of us though it was fantastic. Here is a video of us devouring it! 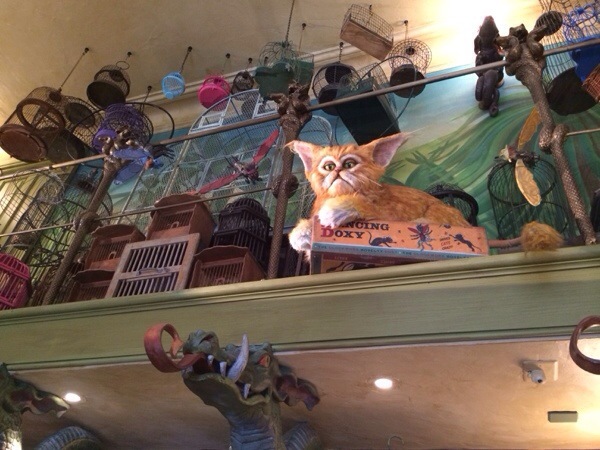 The marquis attraction in Diagon Alley is definitely the brand new Harry Potter and the Escape from Gringotts ride. It’s INCREDIBLE! We all loved it and I highly encourage you to ride. If wait times are too long, do the Single Rider line. We opted to go this route as we were very anxious to ride and this way our wait time was only 20-25 minutes! Perfect! It is a 3D MultiDimensional ride and you’ll really feel like you are indeed in the vault escaping with Harry. So be sure to watch Harry Potter and the Deathly Hallows before visiting too so you can remember what it’s like as Harry, Ron, and Hermione broke into the vault along with then escaping the vault while riding the Ukranian Ironbelly. Simply awesome! 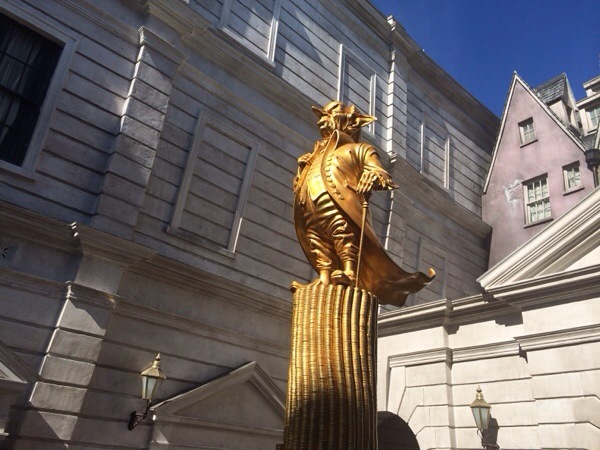 The entrance area is very much themed out to Gringotts complete with Goblins counting coins too! You can check out our video to get an inside peek at the queue area for the ride. It’s gorgeous and literally feels like you have stepped into the movie. Here we are in the queue, take a peek at the Goblins and surroundings. Isn’t it just like the movie? Truly awesome. 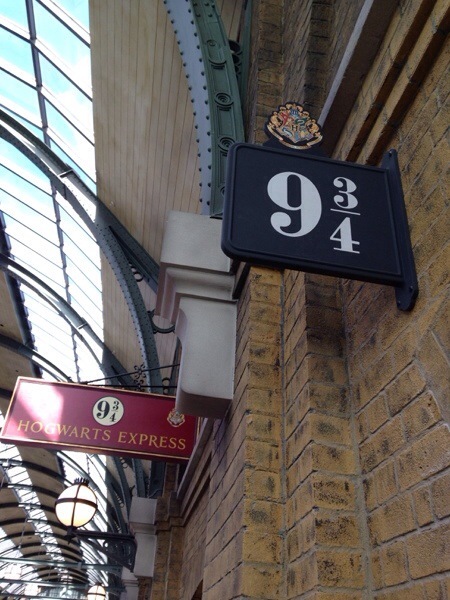 Yes, you can actually disappear into Platform 9 3/4 at Kings Cross Station and then ride the Hogwarts Express to Hogsmeade. 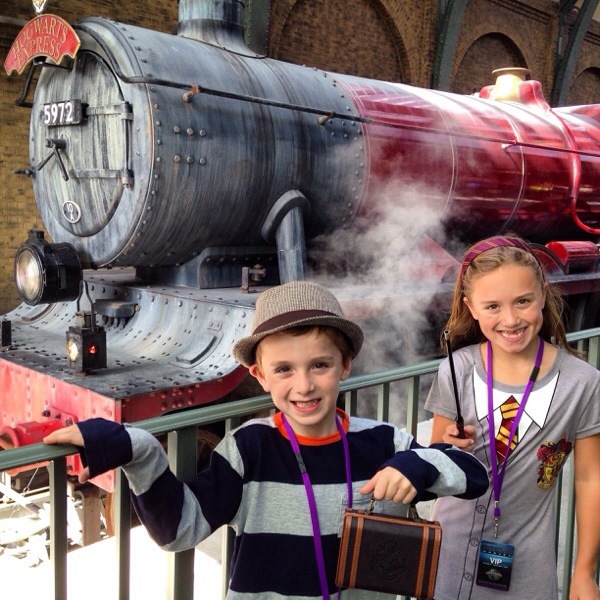 Check out our video of the kids disappearing as they prep to board the Hogwarts Express. We were all impressed and riding the Hogwarts Express is fantastic too. It’s actually 2 different attractions depending on which direction you are riding it as well so be sure to ride it 2x both from the Kings Cross station to Hogsmeade and then from Hogsmeade back to Diagon Alley and Kings Cross Station. Wanting to explore more of the dark arts? 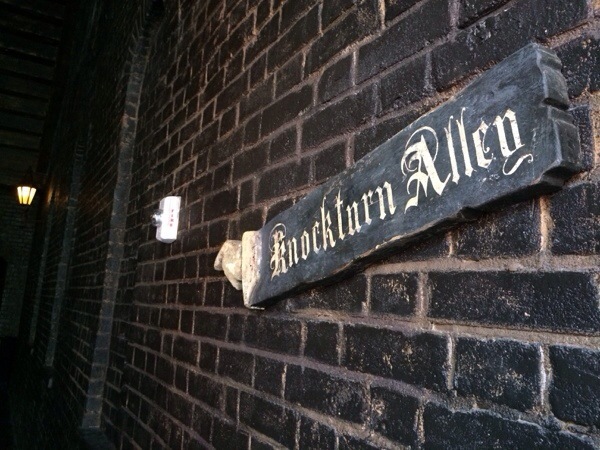 Visit Knockturn Alley, also home to the infamous shop, Borgin and Burkes. This alley is indeed VERY DARK too. Like we’re talking seriously dark – you can almost sense Voldemort and definitely imagine Malfoy and Potter sneaking around these parts! There are also a handful of cool signs to spot on the walls and spells to be cast along with a few secret spells you’ll find on your interactive wand map too. 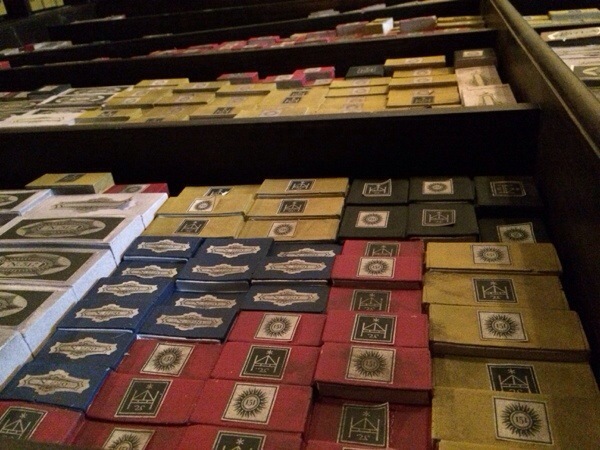 Wands galore! 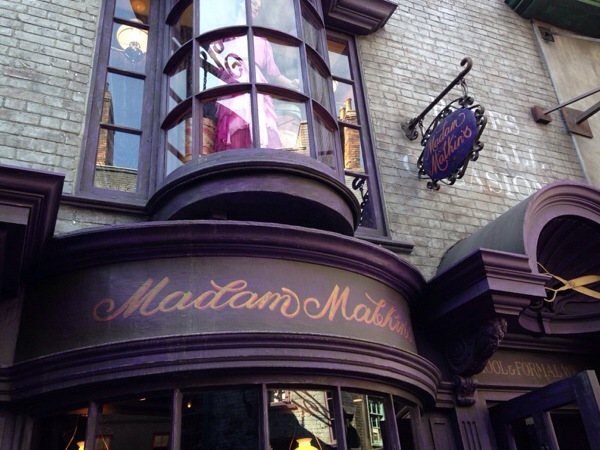 The wand shop in Diagon Alley is ENORMOUS compared to the tiny shop in Hogsmeade. You’ll love this spacious wand shop and interactive show. 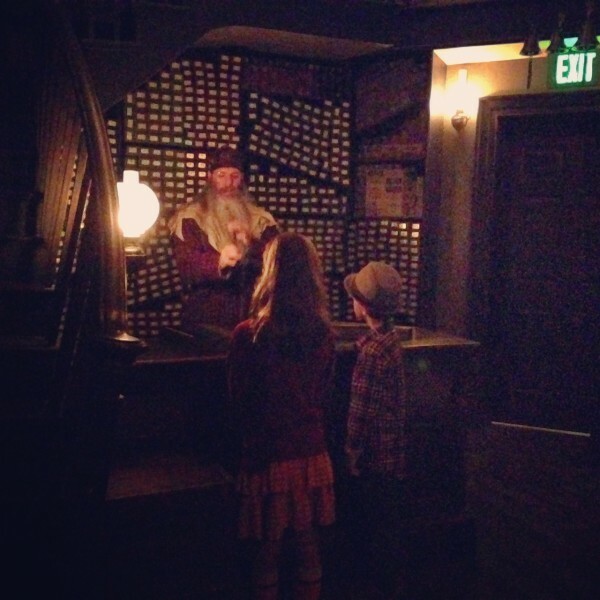 My kids life time dream came true as they were miraculously selected for the “wand” show by Ollivander and were able to have a “wand” choose them. Sparks will fly and magic will ensue during the tricky business of wand selection! Both kids were allowed to go up when Kyle was selected for the show and truly it made their entire trip. 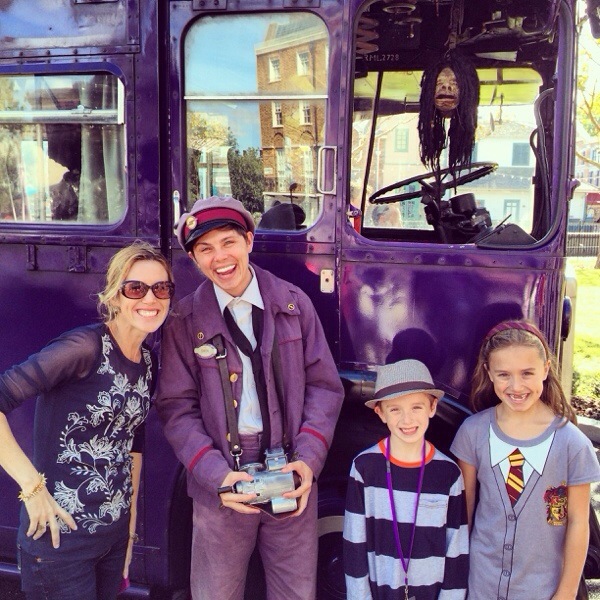 We loved stopping by to check out the Knight Bus. On the waterfront in London, before you enter Diagon Alley, you’ll see the Knight Bus front and center. You can’t miss it. It’s definitely worth popping by for a photo opp as the Shrunken Head is amazingly interactive and will chat away with you and your children. During our visit the conductor talked lots to the kids and the Shrunken Head was in full conversation and joke mode with the kids making all kinds of comments, laughs, and jokes about the kids – from their outfits to their souvenirs as Kyle was carrying around a tiny suitcase he purchased in Diagon Alley which he received all kinds of funny references to from the Shrunken Head. I’m so happy we waiting in this short line, as chatting with the crew was a blast. 9. 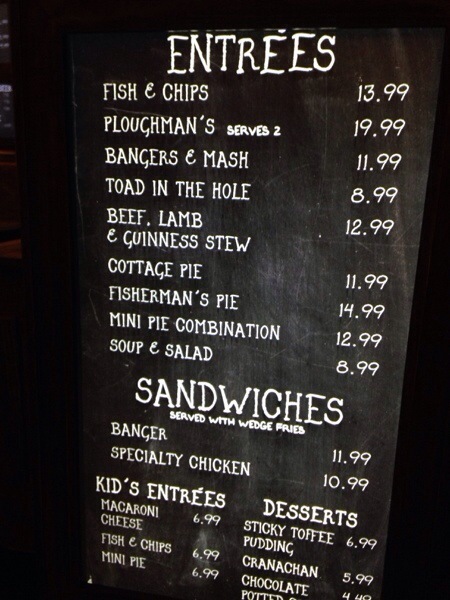 Eat at the Leakey Cauldron – the sign even leaks! 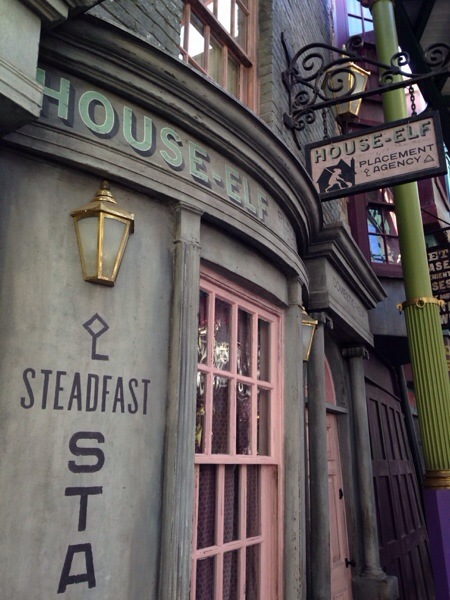 Examples include Kreacher peeking out of a window at 12 Grimmauld Place, the Elf Placement Agency, the speaking mirror at Madame Malkin’s which will comment on your fashion style, and many more small details and all kinds of magical shops you’ll want to visit.